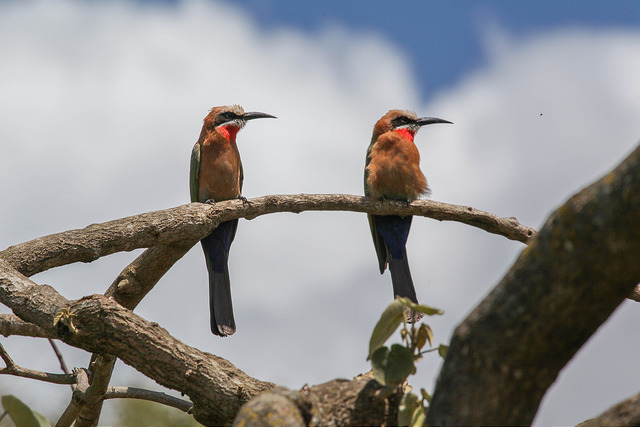 Arusha National Park is a nature preserve at the base of Mount Meru in Tanzania. 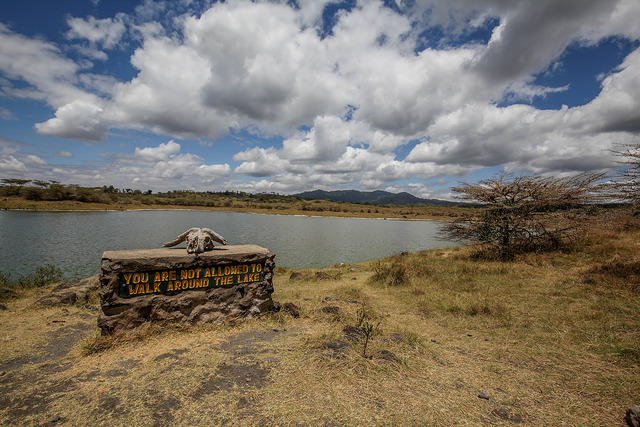 I visited the park during my trip to Tanzania to summit Kilimanjaro. 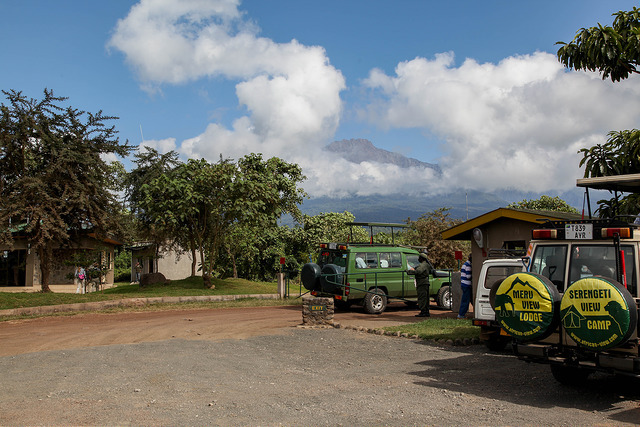 At the gate to the park, you can see the peak of Mount Meru poking up through the clouds. 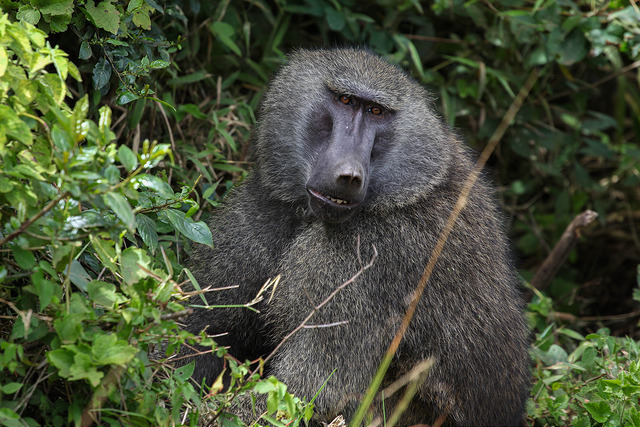 Baboons like this olive baboon are often considered pests, but the adult males have such striking facial features. 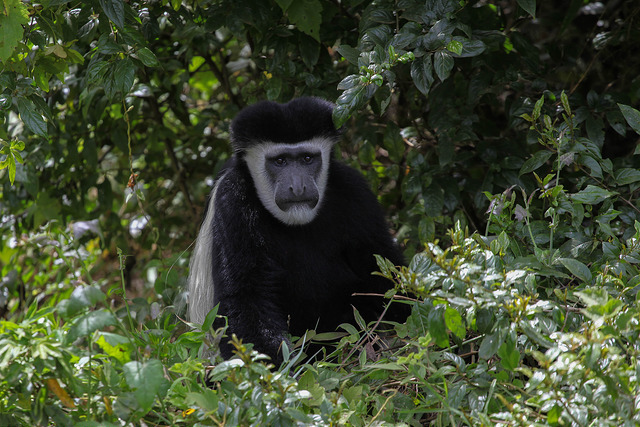 This handsome devil is a black and white colobus monkey. They have a flowing cape of white hair that trails behind them when they swing from tree branches. 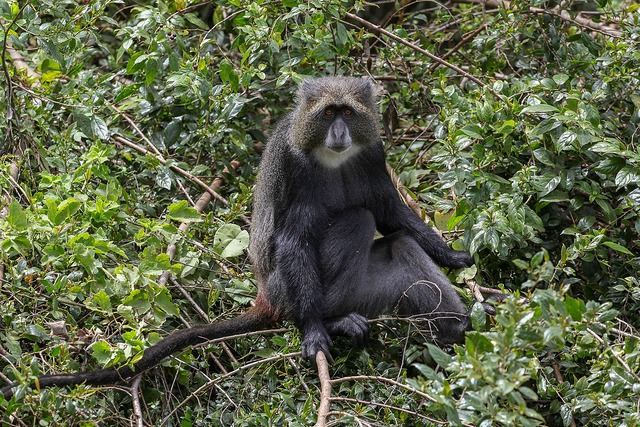 This blue (Sykes) monkey seems intent on watching my every move. 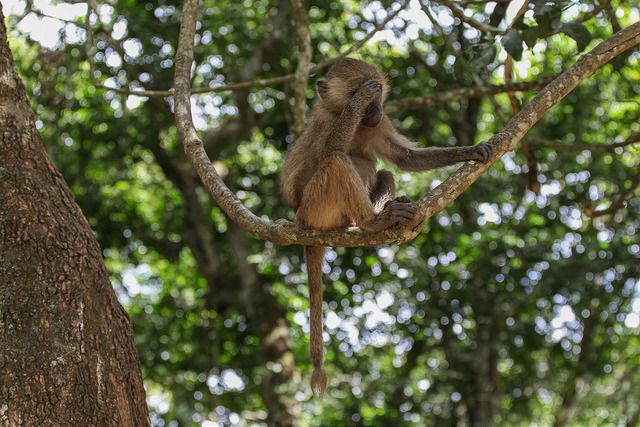 This baby baboon is a meme waiting to happen! This giraffe was also quite interested in what we were doing. They are one of a few animals who can see in color. 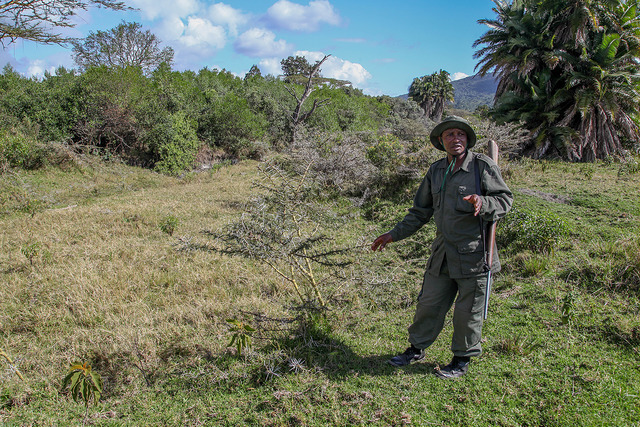 Our guide pointing out an acacia, the giraffes favorite food. 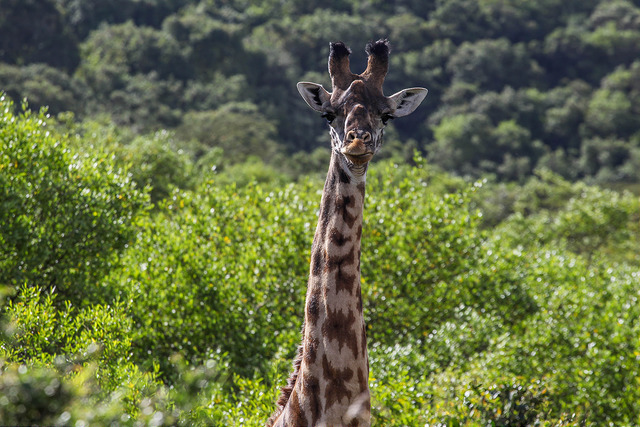 They have sharp spikes but that’s no problem for the giraffes leather-like tongue. “YOU ARE NOT ALLOWED TO WALK AROUND THE LAKE”. Could be the hippos, they are dangerous creatures! 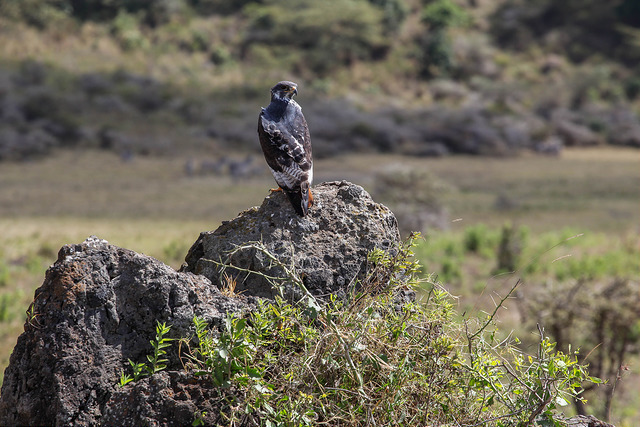 This bird of prey is an augur buzzard. Its plumage has a great pattern to it.